In contrast to his two previous solo trumpet albums - "Song For Jyaki" (Leo, 1997) and "KoKoKoKe" (MTCJ, 2004) Natsuki Tamura's third solo album is less experimental, but adds in maturity and refinement. Half the tunes are known from previous albums, and then specifically from his Gato Libre catalogue, with the titel tracks from "Shiro" and "Forever", "In Berlin, In September", from Nomad, "World", also from Forever, "Dialogue" from Strange Village. Fans of Gato Libre will easily recognise the beautiful themes, yet Tamura has now stripped them to their bare essentials, even doing without the sometimes explicit rhythms that we know from the jazz folk band. Instead you get a gentle carressing of the music with the trumpet's warm tone, full of intimacy and sensitivity. At the same time, he dares go beyond normal voiced tones, urging high pressure tones with urgency out of his instrument when appropriate, to offer contrast, to break the linear development, to keep attention span, and all this with the right dosage and control. "Dialogue" starts with the most beautiful shifting tones, and is enhanced by the faintest rustling of chimes in the background, later followed by some light percussion and voicings. 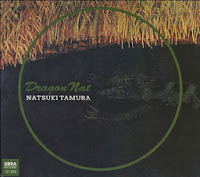 It is the longest track and the real pièce-de-résistance" of the album, if you can describe any of Tamura's subtle, light and warm playing as such. "Wunderbar" and "Dragon Nat" are new compositions. The former is jubilant almost, like a clarion of triumph, alternated with singing and percussion, turning the opening into a more spiritual incantation, then shifting it to theatre performance. 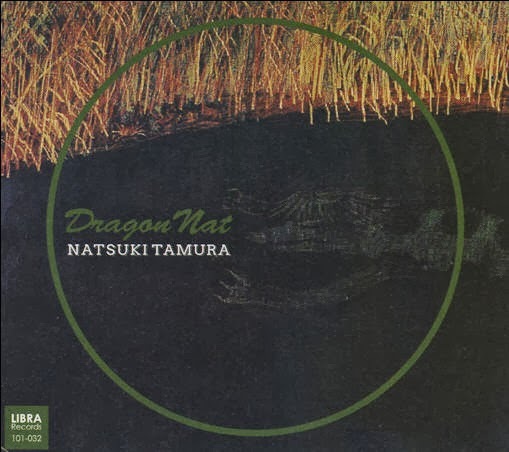 "Dragon Nat" is a surprise, consisting of dark growls, almost spoken, then evolving in fierce and hoarse howls, the most experimental part, and reminiscent of some of the hair-raising sounds that we know from his duo and quartet collaborations. The lullabye-like "World" ... now finally gets its trumpet part, as on the original this was played by bass, guitar and accordion only. Tamura is a real world citizen of music, as familiar in traditional jazz, European folk, Japanse traditional music, as well as avant-garde. He has the amazing capability of integrating all these influences without diminishing any of the ingredients, but rather enhancing them, and all this while creating his own voice and sound full of artistic authenticity. The closing tune on the album, "Matsuri", says it all, taking the listener from the usual tender warmth over intense staccato moments to alarming pig squeals and back to normal.